Elizabeth Crook was born in Houston and lived in Nacogdoches and then San Marcos, Texas, with her parents and brother and sister until age seven, when the family moved to Washington D.C., where her father was director of VISTA for Lyndon Johnson. Two years later her father was appointed ambassador to Australia and the family moved to Canberra. When they returned to Texas, Elizabeth attended public schools in San Marcos, graduating from San Marcos High School in 1977. She attended Baylor University for two years and graduated from Rice University in 1982. She has written four novels: The Raven's Bride and Promised Lands, published by Doubleday and reissued by SMU Press as part of the Southwest Life and Letters series; The Night Journal, published by Viking/Penguin in 2006 and reissued in paperback by Penguin; and Monday, Monday, published by Sarah Crichton Books, FSG, in April 2014 and due in paperback from Picador in September, 2015. Elizabeth has written for periodicals such as Texas Monthly and the Southwestern Historical Quarterly and served on the council of the Texas Institute of Letters and the board of the Texas Book Festival. She is a member of Women Writing the West, Western Writers of America, and the Texas Philosophical Society, and was selected the honored writer for 2006 Texas Writers' Month. Her first novel, The Raven's Bride, was the 2006 Texas Reads: One Book One Texas selection. The Night Journal was awarded the 2007 Spur award for Best Long Novel of the West and the 2007 Willa Literary Award for Historical Fiction. Monday, Monday was awarded the 2015 Jesse H. Jones award for fiction. She currently lives in Austin with her husband and two children. 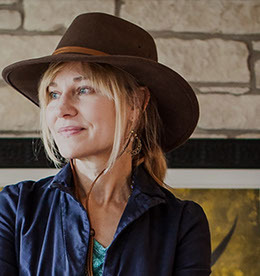 Elizabeth Crook is the author of four novels, The Raven’s Bride, Promised Lands, The Night Journal, and the 2015 Jesse H. Jones Winner (Best Novel) from the Texas Institute of Letters, Monday, Monday, based on the aftermath of the tragic 1966 sniper shooting at the University of Texas. She has written for anthologies and periodicals, including Texas Monthly and the Southwestern Historical Quarterly, and has served on the board of directors of the Texas Book Festival. Lone Star Literary Life caught up with her via email, and she shared with us some of her own story. LONE STAR LITERARY LIFE: Let's start with your Texas upbringing. You grew up in San Marcos. Did you ever go to Aquarena Springs and see the swimming pig? A lot of people lament "Old Austin," but San Marcos was different in the ’60s and ’70s as well. The former Southwest Texas State Teachers College, now Texas State University, was known for being LBJ's alma mater. What was it like growing up in San Marcos? ELIZABETH CROOK: Beautiful. I love that place. My mother still lives there, so I make the drive from Austin regularly. I was there last weekend for a family wedding. I-35 has changed a lot and there’s certainly more traffic, but once I hit the downtown square of San Marcos everything feels pretty much the same. There are a lot more people—it's a city now and was a small college town back then, but it feels like home to me. I’ve written two memoirs for Texas Monthly about growing up there—“Dad vs. the Dress Code” and “Our House.” They’re both on my website if anyone is interested in knowing more about what San Marcos was like in the ’60s and ’70s. And yes, I visited Aquarena many times—rode the sky ride and the glass bottom boats and watched Ralph the swimming pig from the submarine theatre. I was a little deflated when I realized there were actually successive Ralphs. Apparently only small pigs can swim. Your father worked for LBJ first in VISTA and later as an ambassador. What was it like being a part of the administration that brought us the Great Society? Did you ever have a calling for public service? How did living in Australia affect your formative years? My dad was the national director of VISTA for a couple of years and then ambassador to Australia, which meant we moved from San Marcos to Arlington, Virginia, when I was seven and then to the U.S. Embassy in Canberra, Australia, when I was nine. I was extremely proud of my dad, and the experience of being around the President and Mrs. Johnson and other interesting people in Virginia and DC was formative, if a little intimidating. The staff at the embassy residence in Australia, and the marines who stood guard, were wonderful people whom we grew to love—they were our family the year we were there. My brother and sister and I made tunnels through the hedges and spent most of our time outside on the grounds. I have terrific memories of hiding out in those hedges with thousands of twittering birds. But there was also an unnerving aspect to living in the embassy residence. As a chubby nine-year-old I was uncomfortable with myself in the way nine-year-olds often are, so being around so much press and feeling the need to behave well all the time was a challenge. Also the school I attended—Canberra Church of England Girls Grammar School—was difficult and very unlike the public schools I was used to in San Marcos and Arlington. I attended fourth grade and managed to last there until we were given a timed math test of multiplication tables, one through twelve, and counting on my fingers didn’t get me past the sevens. At that point I asked the teacher to take me to the third grade, which she did. A lovely third grade teacher by the name of Mrs. Atchison took me under her wing and got me through the year. We had been in Australia for only the one year, and then Nixon was elected and sent us packing. As for public service, I admire people who do it, but I don’t have the requisite talents. It would be hard to say an age, but early on. My mother read to my brother and sister and me every night for hours on end, and this was a great gift to us. Also, my family comes from a long line of writers and storytellers: schoolmasters, journal keepers, preachers. Stories were valued in our family. Books made up most of our Christmas gifts every year. I started writing (very bad) poetry as a child, and then kept a journal through my teenage years. There’s not a glimmer of talent in those early writings—not a single original insight or inspired turn of phrase. I tried to read some of the passages a few years ago when my mother asked me to get the stacks of journals out of her attic, but I couldn’t get through more than a couple of pages. The entries were just too tedious and of no real interest, even to me. But I like the think the hours of scribbling at least perfected my discipline. Jacqueline Onassis. I wrote a novel in my twenties—The Raven’s Bride—about Sam Houston’s early marriage to a woman named Eliza Allen. It went through a lot of rejections and rewrites and a very circuitous path until it found its way to her desk at Doubleday. She bought it along with another novel I had just started on—Promised Lands. For those interested in what she was like as an editor, I wrote a tribute at the time of her death that’s posted on my website. She was a smart editor, detail-oriented, great to work with, and extremely kind to me. Your books have delved into some tragic and violent episodes of history and fiction. When you are spending weeks and months in the middle of the writing process, how are you able to compartmentalize what's happening to your characters versus your own life? Actually I don’t think I am able to compartmentalize. The fictional story I’m writing and the real one I’m living have to be able to trespass on each other all day long. I have kids, I write at home, and the door to my office is always open. Right now, as I’m writing, I can hear the TV in the other room. My thirteen-year-old Lizzie just came in to help me clip some stickers out of our dog’s fur. I’ve learned to slide from one thing to another. Call it distraction, multitasking, or a sadly diminished attention span—whatever you want to call it, the fact is I don’t have a lot of control over my hourly schedule. That’s not to say I don’t go stomping through the house occasionally shouting “Nobody could possibly write under these conditions!” But essentially, I have to accept the conditions. And that means giving up on boundaries and ideas about compartmentalizing. I often think about my characters when I’m with my family, and I often think about my family when I’m with my characters. As for the violence in my books, I’ve discovered that I’m simply not invested in characters who are not in any trouble or danger. Monday, Monday, your novel based on the 1966 sniper shooting at the University of Texas, is mostly about the shooting's aftermath and its impact on your characters. How would you describe the book, which recently won best novel from the Texas Institute of Letters? That’s difficult for me to do. The book deals with a number of different issues, including the central theme of a child secretly given up for adoption in the late 1960s. A reviewer at the San Antonio Express-News said the book “explores the complex messiness of being human,” and that, while it “opens with a random, hideous act,” it “thankfully…isn’t about that moment or the gunman. The shooting sets in motion an entire lifetime of relationships: from an act of violence springs love, friendship, loss, forgiveness and survival.” The Dallas Morning News described it as exploring “the bond among survivors and the ways that seminal events in our lives continue to shape us long after they’re over.” And last week I received the cover image for the Dutch translation and discovered that the title had been changed to Wie Wij Waren—translating to Who We Were. The subtitle translates to “A bullet changes the course of many lives.” I think that title and subtitle are wonderful, and fit perfectly. What's the hardest part of being a writer? What's the best part of being a writer? The hardest part is finding the time to write. The best part is getting to know the characters well enough to care about them, and then having the freedom to preside over their lives in ways that I can’t do with real people in real life. My characters can’t say or do anything I don’t allow them to. That’s a very cool thing if you think about it—being in charge to that extent, having a say not only in what the people whom you’re spending your time with are doing, but who they actually are. They can’t want anything that I don’t want them to want, or that I don’t want to have to deal with providing them. In other words, it’s a great relief to live in a fictional world sometimes, even if only for brief intervals in the day. Which Texas writers have influenced you? I would have to say the writer with the most influence on my books is Steve Harrigan. He’s not only a great writer but a great friend and a terrific critic. He often raises questions or makes suggestions on my early drafts that cause me to change the entire course of the story. Whole characters have vanished from my manuscripts because he wondered aloud if they were really necessary. If you could give one piece of advice to aspiring writers, what would it be? I have a hard time stopping at one. I would say, revise constantly. Read your writing aloud to hear what it sounds like. Expect criticism. Look at writing as a craft—not a romantic undertaking. Don’t expect to get it right in the beginning, just try to get it right before the end. Make notes on what you think of in the middle of the night because you won’t remember it in the morning. What's your favorite place in Texas to read a book? Any porch with a rocking chair, a breeze, and a good view.